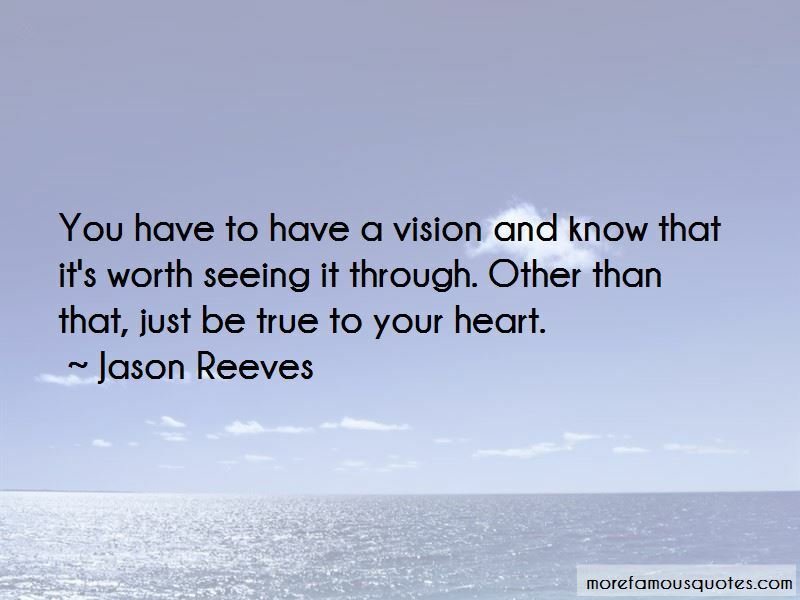 Enjoy the top 18 famous quotes, sayings and quotations by Jason Reeves. 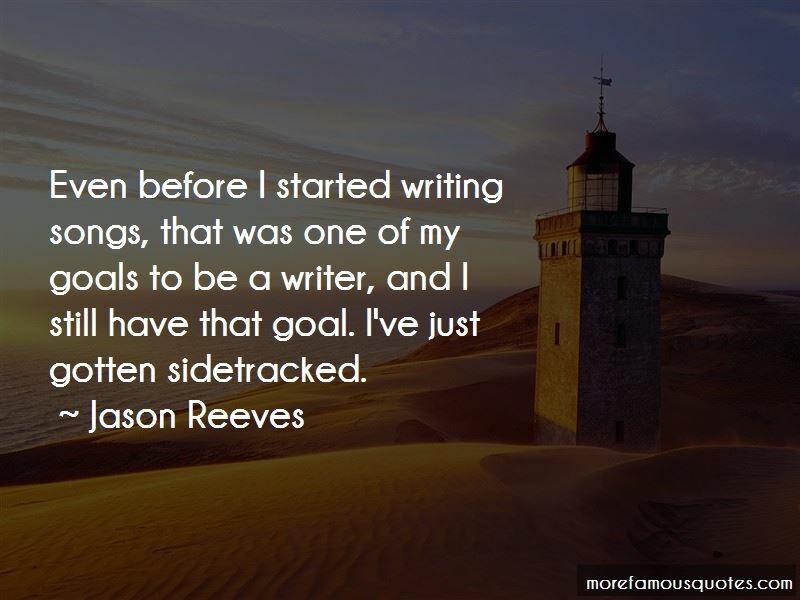 Even before I started writing songs, that was one of my goals to be a writer, and I still have that goal. I've just gotten sidetracked. You have to have a vision and know that it's worth seeing it through. Other than that, just be true to your heart. I started writing when I was 17. I got an acoustic guitar for my birthday after I discovered Bob Dylan and James Taylor. My favorite superheroes when I was younger were the Teenage Mutant Ninja Turtles and they still are. Simply because they rule and you've got 4 different personalities to choose from depending on your mood ... And they're huge human-turtles!! 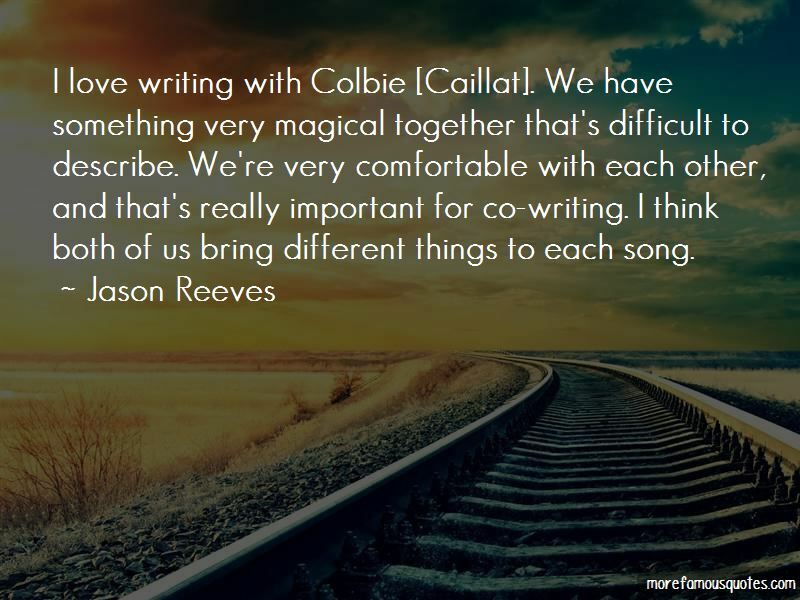 Want to see more pictures of Jason Reeves quotes? 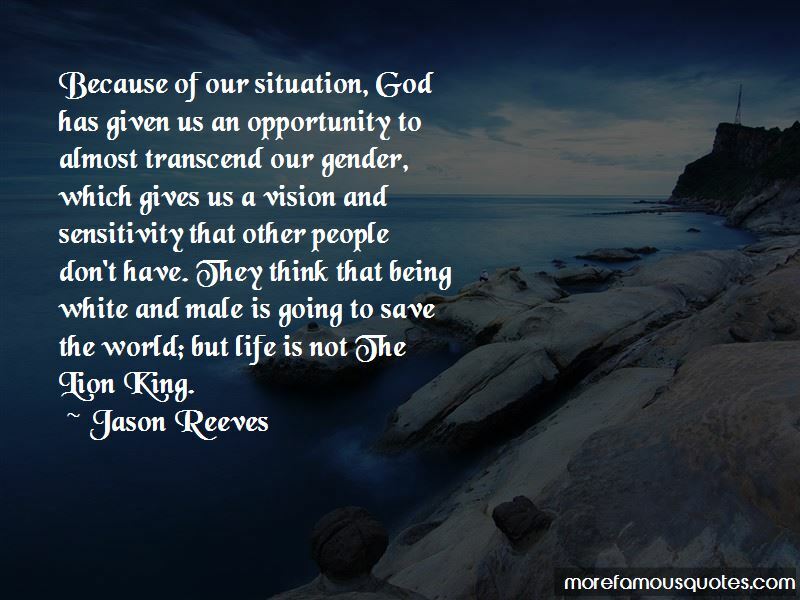 Click on image of Jason Reeves quotes to view full size.